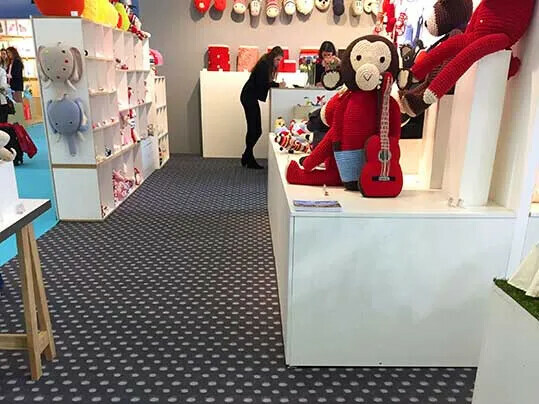 Last months very refined and colorful design solutions could be experienced in Cologne, Stockholm and Paris. Clever and beautiful innovations were presented based on traditional production processes combined with thorough material researches. Innovation not only to create exciting new shapes or to embellish existing designs but also to make ‘things that last’. The exhibition of ArkDes in Stockholm was a beautiful example of this new mindset in which designing for the long term was key. 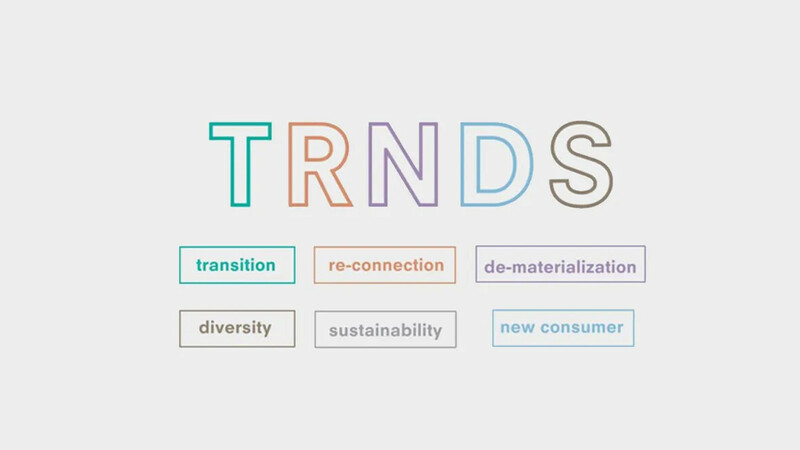 As a translation of the circular economy concept this starting point generated a good fundament for inspiring new perspectives on design. 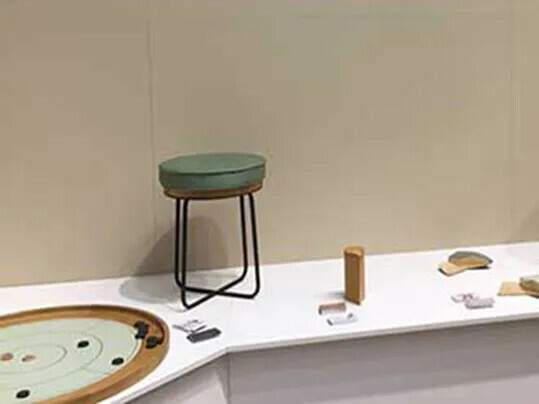 With the circular economy objective in mind manufacturers and designers are challenged to come up with new and ingenious design solutions which hopefully will also be omnipresent in Milan during the Salone del Mobilé. Alegria van der Zande (1988) graduated in 2015 from the Utrecht School of the Arts. In her project "fossils" she creates a beautiful new material expression by merging two natural elements into a new visual. A technique she designed during her graduation process at the HKU. Flowers and plants are pressed into leather this results in an interesting contrast between the raw leather and the fragile details of the plant. Pressed Flower is a project by Alegeria van der Zande. Presented during the M&O by Thomas Eijk. Recent the designs of Gebrüder Thonet Vienna represent a blend of the traditional and the modern with a new production program that begins by re-editing a series of Gebrüder Thonet classics. 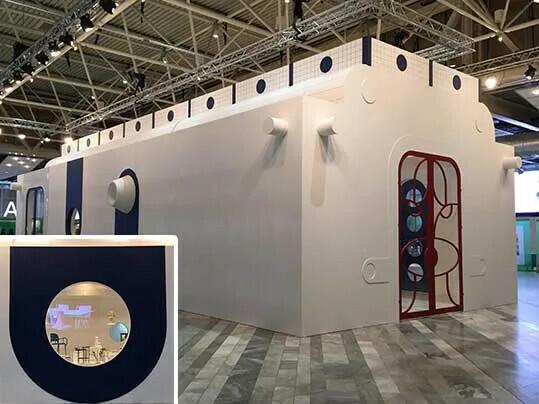 At the same time GTV special production techniques are applied to more innovative designs and use of materials, to create contemporary, multipurpose solutions. 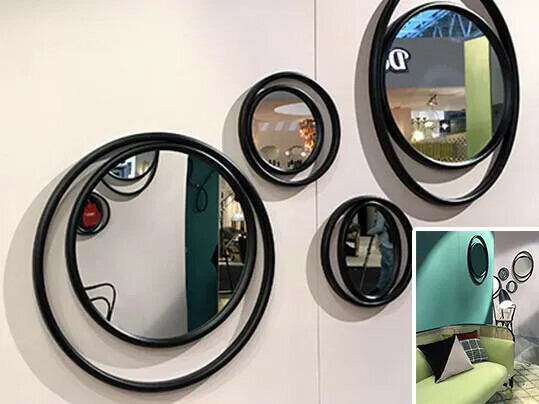 An example of this approach is the series of Eyeshine Mirrors by designer Anki Gneib. Steam-bent geometric circles and ovals refer in a playful way to the shape of an eye. Swedish women wear label Rodebjer recently opened a new flagship store in Stockholm. The interior of the store has been designed by the brand’s creative director Carin Rodebjer and the Swedish set designer Sahara Widoff. 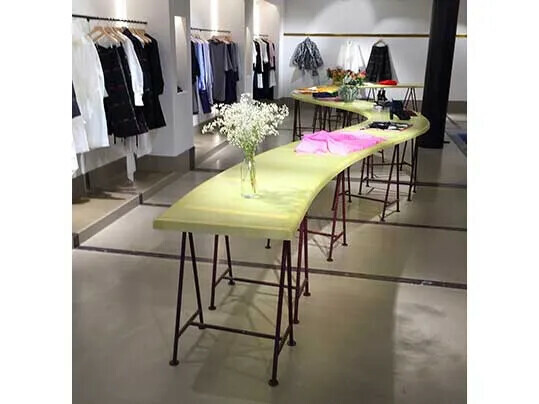 A very inspirational environment to be in with beautiful color scheme and with an innovative use of materials such as pigmented plaster for the counter and custom designed fixtures and displays. The exhibition ‘Designed to Last’ reflected on important issues currently facing the design industry – sustainability and designing for the long term. 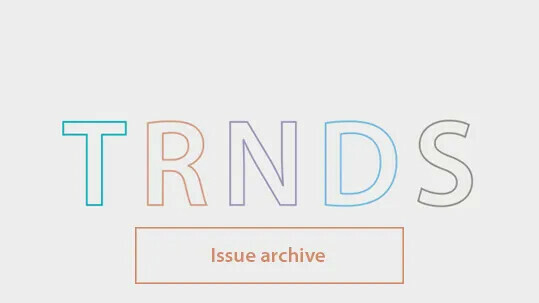 The exhibition featured a number of designers and architects and ways in which they see their role in a rapidly evolving, throwaway society. 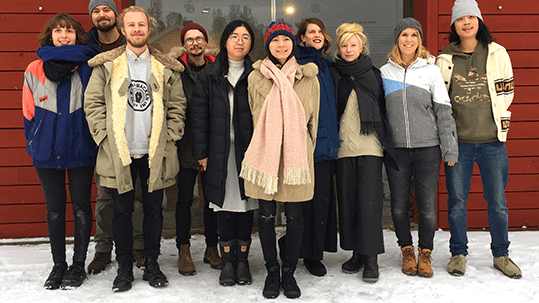 Designed To Last’ by Residence & ArkDes with Kråkvik&D’Orazio // Curated by Karin Åberg Waern, Hanna Nova Beatrice and hosted at ArkDes (Swedish Centre for Architecture and Design). During the Stockholm Design Week Bolon showcased a series of experiments and collaborations in their new Flagship store in Stockholm. Among them were two rug designs; DUET and Villa la Madonna. 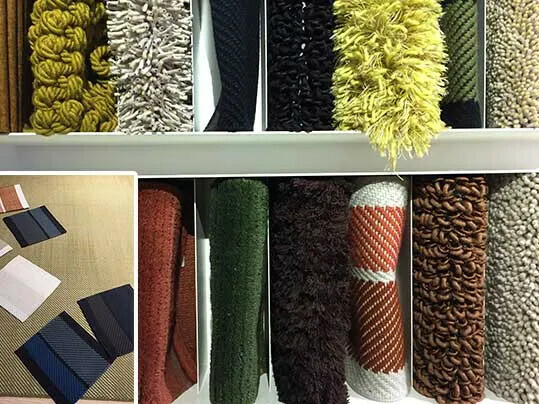 in the original vinyl based Bolon product other fibres such as wool, glittery bands and metalised polyester are incorporated. 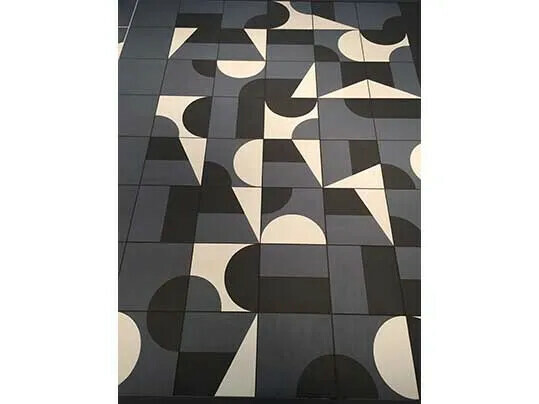 Puzzle is a set of glazed porcelain/stoneware wall/floor tiles. Designed by Barber & Osgerby for Mutina.The idea behind the collection is to design the entire room and not an individual façade, giving the chance of communication between architectonic and space elements placed in different parts of the house and drawing a continuous line through colour declinations of the collection. 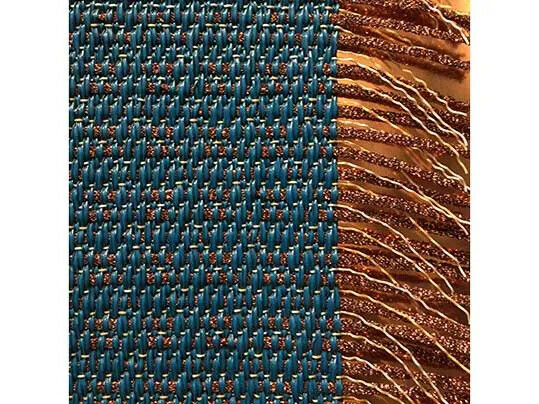 The design of Merger is inspired by color blocking techniques. In this design, two tone-one tone colors are juxtaposed on a light or dark base, creating a color-block effect. Merger was launched during the IMM fair is part of three new Danskina rugs; Burrow, Reap and Merger. Crescendo. White Coffee Table by Pierre Charpin. Metal structure covered with mosaic work by Bisazza. Producer: Galerie Kreo. Pierre Charpin has been nominated Designer of the year 2017 Maison & Object Paris. Charpin first designed the Slice chair in 1996, but it has only now been put into production by French brand Cinna. Charpin’s design comprises a series of modular blocks in different colors, which can be added or taken away to alter the length of the horizontal surface. 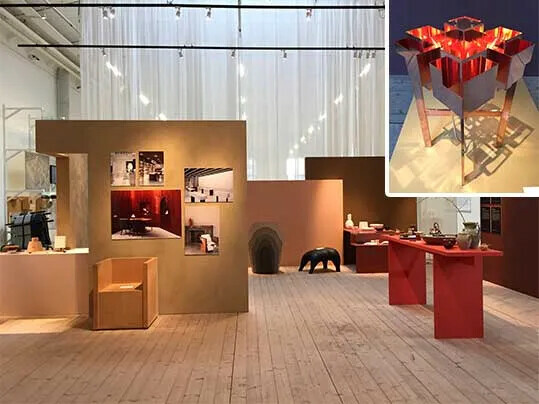 This year’s Guest of Honour, Spanish designer Jaime Hayón, created a pop-up design pavilion at the Stockholm Furniture Fair. The pavilion hosted a mini retrospective of Hayón’s work, grouped into themes that have been his ongoing influence, such as ‘sculpting form’, ‘fantasy’, ‘flora fauna’, ‘folk culture’ and ‘craft heritage’. 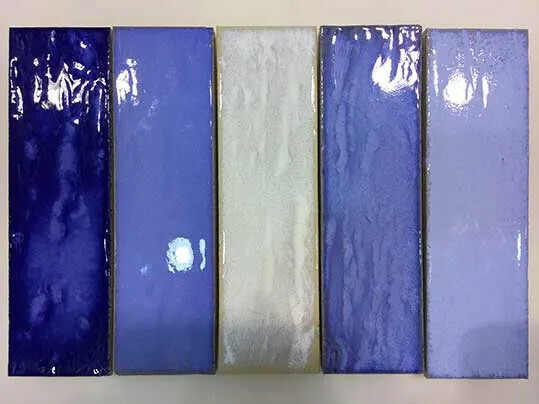 Glazed ceramics in Various Blue by Dutch ceramics expert Koninklijke Tichelaar is a range of tiles finished with coloured glass glazes ranging from nearly white to deep blue. The wide range of blue tones is created through layers of glass. The glass is composed of a mixture of non-organic minerals: metal oxides and silicates. This is mixed with water to form a liquid, which is then poured over the ceramics. Inspirational color scheme of Danish manufacturer Montana Møbler in the exhibition building Design Post. 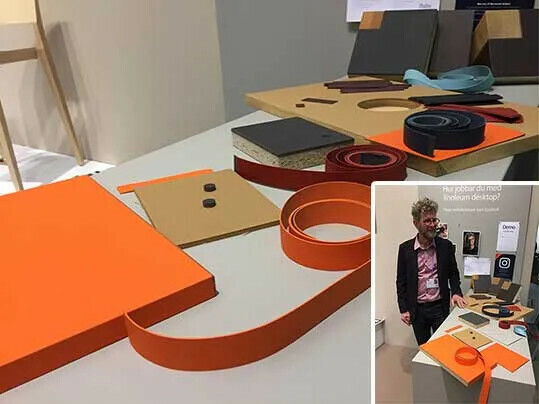 During the Stockholm Furniture Fair the furniture maker Gert Kjeldtoft was invited by Forbo Flooring to share his knowledge about innovative ways to process our Furniture Linoleum with the visitors of our stand. “Pattan” is a foldable stool with Forbo Furniture linoleum as top layer designed by the Japanese Atelier Yocto. 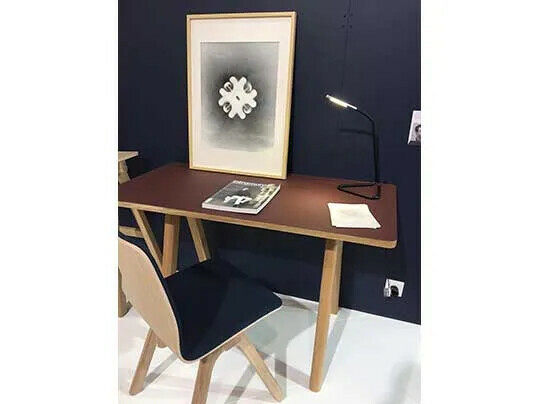 At the Maison et Objet in Paris French Furniture brand Dasras showcased a simple elegant desk using Forbo Furniture linoleum as tabletop surface. 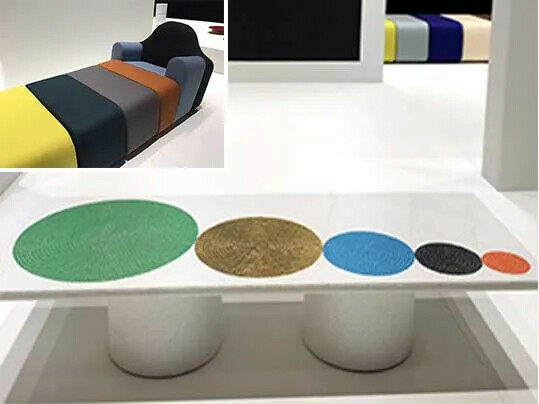 Dutch brand Anne Claire Petit Accessoiries used our Flotex Sottsass Kasuri in her booth at the Maison et Objet.